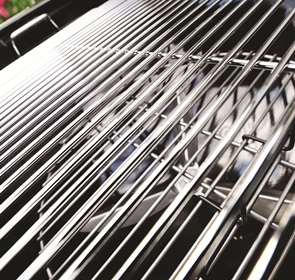 It’s nearly summer which naturally means one thing… It’s time to get barbecuing! A sunny day and a free afternoon is the only excuse you’ll need! For the barbeque related recipe of the month, we’ve selected easy-to-make sticky barbecue ribs. This tantalising dish serves up to 6 people and is ideal for a family barbecue or get together with friends. The succulent meat and sweet sticky sauce are guaranteed to be a hit at any summer party! Combine the rub ingredients in a bowl, and then rub into the ribs on both sides. Lay the ribs in a deep baking tray and place in the fridge to marinade overnight. You can leave them to marinade for up to 12 hours. Add the cinnamon and star anise to the ribs, and pour over the 500ml of Dr Pepper, covering all the ribs. Cover the ribs with grease proof paper and then foil. Bake in the oven for 2 hours, turning once. Now the ribs are cooking, it’s time to prepare the sticky sauce. Add the Dr Pepper to a large pan and bring to the boil. Gradually whisk in the remaining ingredients in order, until they’re combined well. Boil the mixture until the sauce thickens, stirring occasionally to make sure it doesn’t burn on the bottom. Taste to check the sweetness and when you’re satisfied, set the sauce aside. Once the ribs are cooked, drain and discard the cooking liquid and then baste the ribs in half of the sauce. Place the ribs on the barbecue on a medium/high heat and cook for 10-15 minutes, basting with the remaining sauce and turning occasionally. When the ribs are sticky and a dark brown colour, take them off the barbecue and serve. There you have your delicious barbecue ribs. Enjoy! Have you tried out this recipe? Let us know your thoughts by commenting on our Facebook page. If your oven or barbecue needs a good scrub after all that cooking, call us on 0800 840 7127, or complete our online form for your free quote. 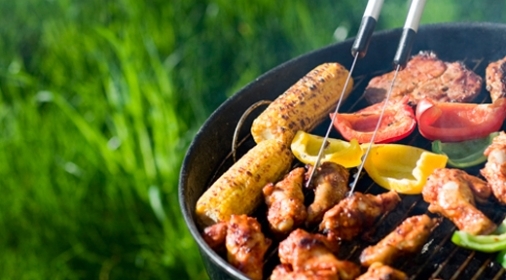 Which is the Best barbecue, Gas or charcoal?